​What's a System of Equations? A system of equations is a set of 2 or more equations. 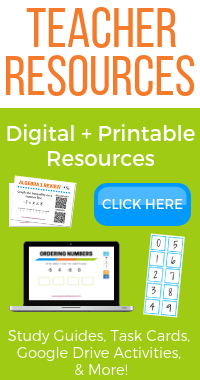 The systems you study in Algebra 1 generally consist of two linear equations. The graphs of linear equations are straight lines, so the goal is to figure out the point where the two lines cross. This ordered pair will be the solution to the system - it's the point that works for both equations. Let's take a look at an example of a system of linear equations. The system shown to the right consists of two linear equations: y = 2x + 3 and y = -3x + 13. You can see from the graph that the two lines cross at the point (2,7). This means that the solution to this system is (2,7). This means this is the ordered pair that will work in both equations. If you plug in 2 into either equation, you'll get 7 for y. You can always graph the equations in a system to find the solution point. However, it can be difficult to tell where the lines cross if the answer is very large or if the answer involves fractions. 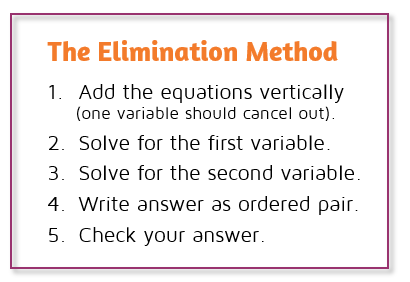 The elimination method is an alternative to graphing. 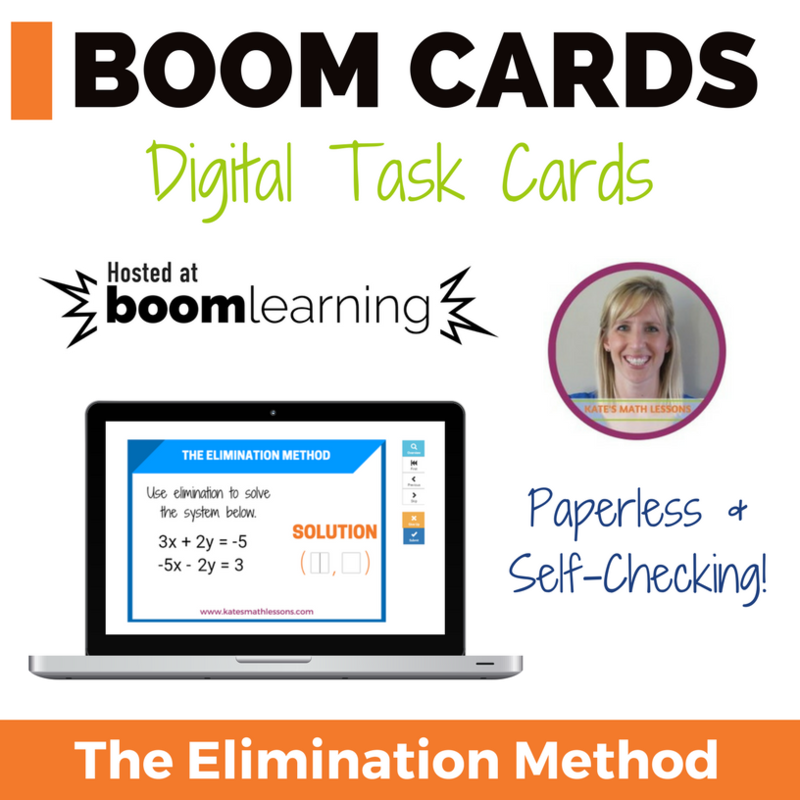 It's a method that can be used to solve a system without graph paper and you'll get an exact answer every time. 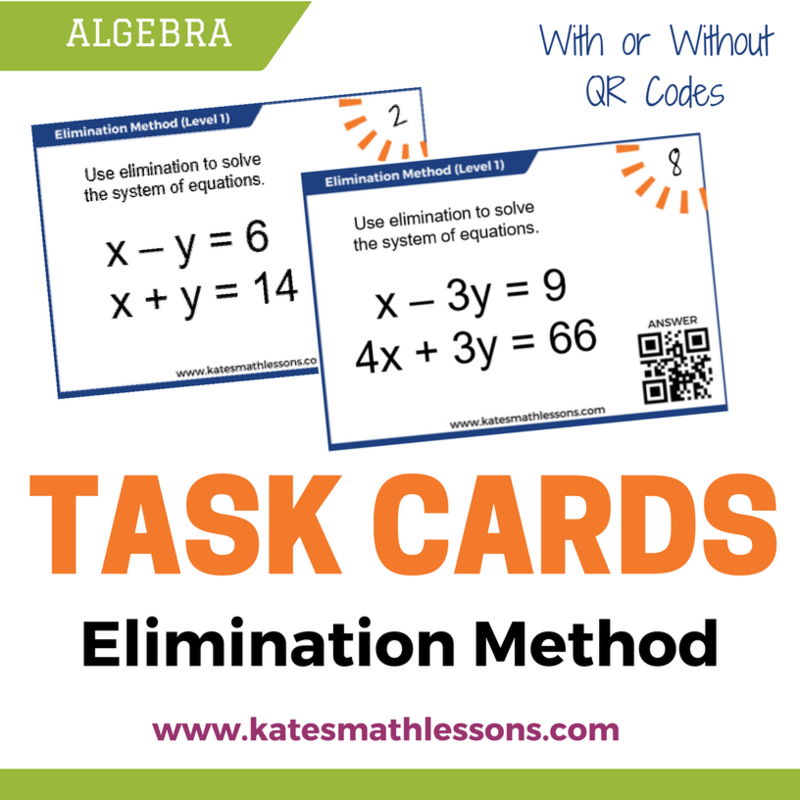 There's also a method called the substitution method that can be used to solve systems of equations.